Where laminate shines is in high traffic areas and rooms that get a lot of activity. 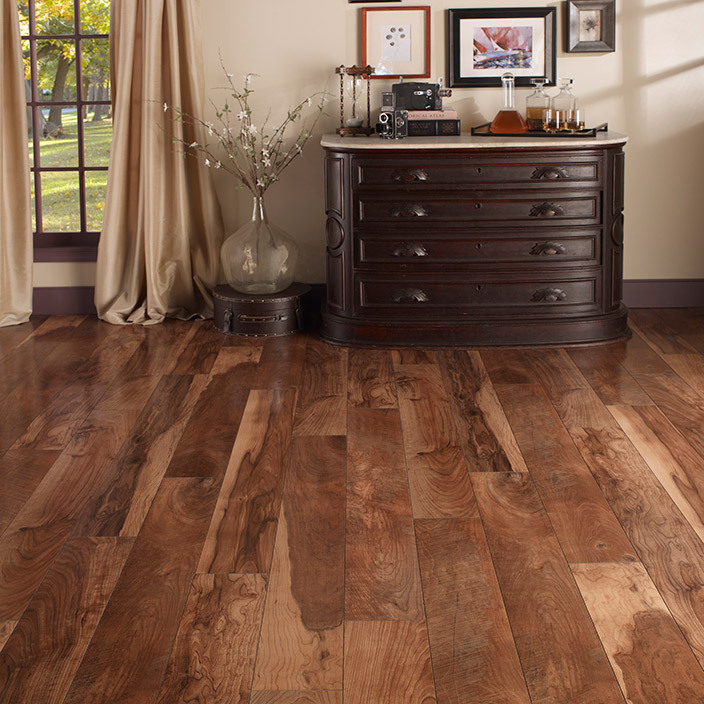 What makes laminate flooring such a winner is its incredible performance. It resists stains and spills and wear and doesn't fade. Such strong performance features make it a natural for high traffic areas of your home.That's what also make it kid friendly. If you're looking for a no-worry floor, laminate is about as good as it gets. Here’s another thing about laminate flooring: It can be used in virtually any room in your home, but it is not recommended for wet areas although better floors can resist surface spills quite effectively. New moisture barriers also allow laminate flooring to be used below grade (basements). At the high end, laminate offers visuals that are hard to distinguish from other “natural” products which has allowed it to move into family rooms, children’s bedrooms, kitchens (remember your moisture barrier) and other spaces. What started out as a less expensive floor with the look of natural materials has developed into a full fledged flooring alternative that can be used throughout the home. I almost can’t believe I’m saying this, but you might even consider laminate floors for more formal spaces such as dining and living rooms. A lot of that has to do with the fact that they are so well designed – crisp, realistic visuals with embossing and textured effects, plus strong performance features including water-, stain- and wear-resistance. Here are two real-life examples of why and where a laminate floor makes sense in “feature” rooms of your home like living and dining rooms. Both my daughter and mother have laminate flooring in their living rooms. For my daughter, it came with the house they bought. She didn't love it at first, but she soon discovered that it’s a worry-free floor that can stand up to three small children – scuffs, stains, spilled juice, markers and more. For my mother, it made perfect sense after selling her home and moving into a smaller condo unit to have a no-muss, no-fuss floor that looks good and is easy to clean. The newest trend is to use laminate on floors where it serves as a feature backsplash or focal point. Ceilings too are being covered to bring the look of stone and hardwood at a fraction of the cost. Plus, laminate's ease of installation allows DIY-ers to get in on the action. So where can laminate floors be used?